Made of jute material, durable in use. Perfect for young and older dogs. Improve dog biting to grip, intended use of dog bite tug in a way. Great for creating prey drive, enhance interaction to a certain extent. You can use for both left and right hand to play with favorite dog together. 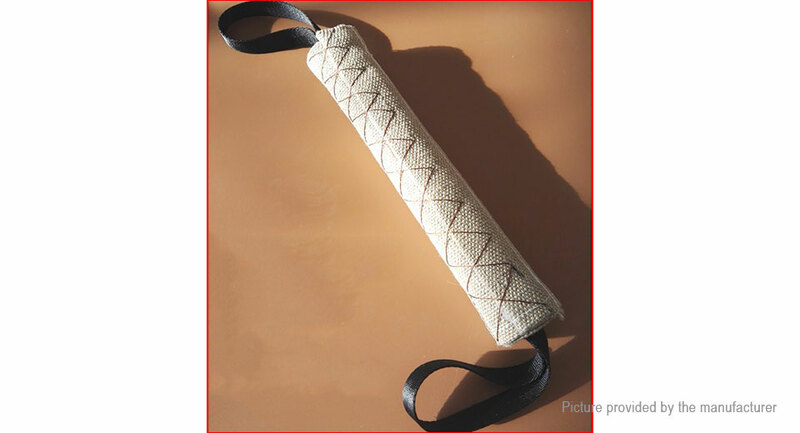 With handle to help holding the cloth steady against dog biting, it can also be used to hang up, do not occupy space.